I recently tested PHP 7.3 on some WordPress installations and found most WordPress themes support PHP version 7.3 including Avada, Divi, Pluto, Jupiter and Enfold. However, warning a message appeared with regard to Revolution Slider. 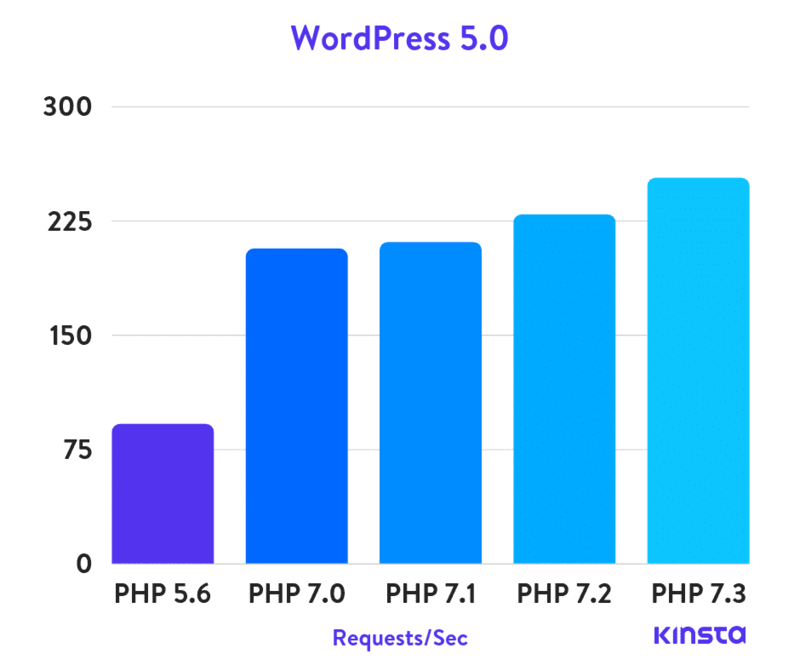 According to Kinsta benchmark with WordPress, you can expect performance improvement when running WordPress 5.0 on higher PHP version. PHP 7.3 is Available at SiteGround. Recently, Bluehost added PHP 7.2 support to their shared hosting plans. If you sign up for a service or purchase a WordPress theme by clicking on the referral links in this post, I will get some commission. However, I do not recommend a specific webhosting service provider just for commission. I’ve been running and managing some WordPress sites from several webhosting services including Siteground and Bluehost for years. If you want cheap but relatively good performance web-hosting services, you might want to consider Bluehost’s Shared Hosting (which offers up to PHP 7.2 support.) If you sign up for Bluehost's Shared Hosting by clicking on this link, you can get one dollar discount per month. If you want more reliability and better performance, SiteGround will be a good choice.